Action Portable Rides has partnered with Allegiant Partners, Marlin Leasing Corp. and Direct Capital, direct lenders, who deliver simple, fast and cost effective financing options for our commercial customers. With their help, we can get you the equipment your business needs! 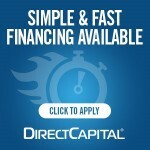 Click here for the Marlin financing application.